Description: This committee coordinates with the Ancient Order of the Hibernians to implement this fundraiser which typically runs at the beginning of Catholic Schools Week - in January. The Hibernians are an organization that is committed to supporting Catholic Education. 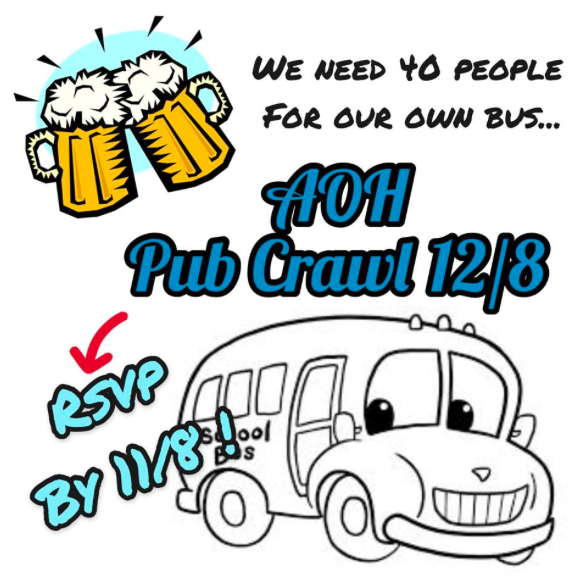 The events the committee coordinates the plunge along with a fundraising crawl and a chili cook-off. 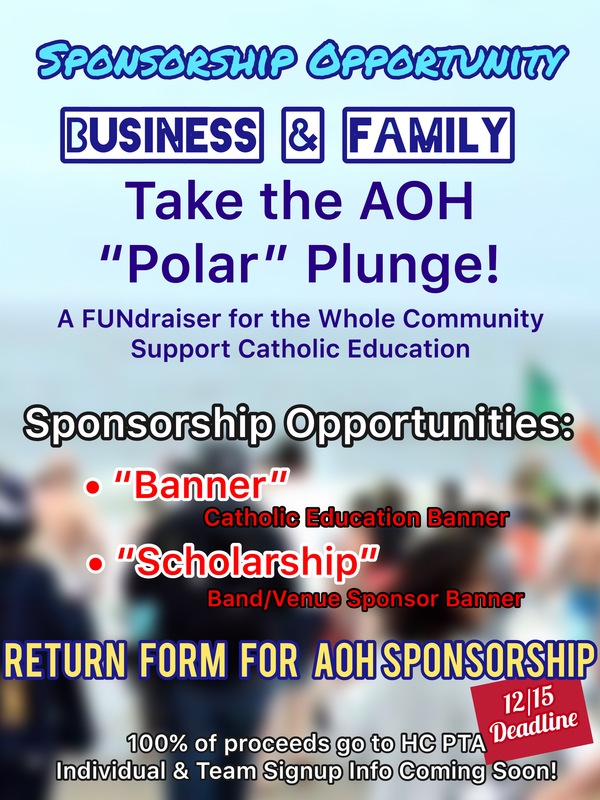 The AOH Polar Plunge was started in 2007 by the members of the Ancient Order of Hibernians, Division 2 Monmouth County, NJ for the purpose of helping Catholic Education. 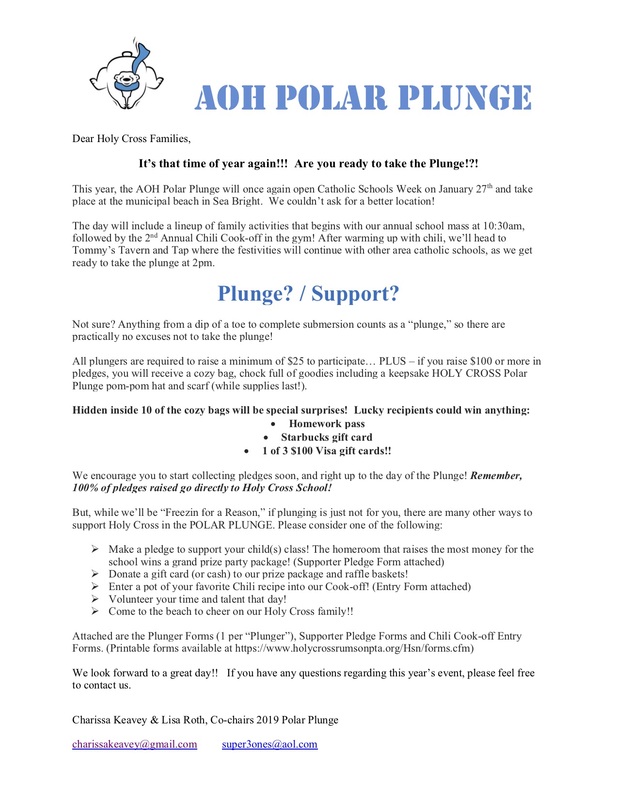 This cooperation from the AOH has allowed Holy Cross to see a great return on our efforts with 100% of the funds raised going directly to the PTA. Sunday, 1/27 - The Plunge! Tommy's Tavern & Tap to celebrate!